Archaeologists have found the long sought-after oldest necropolis of ancient Apollonia, the Black Sea town that was the predecessor to today’s Sozopol in Bulgaria. 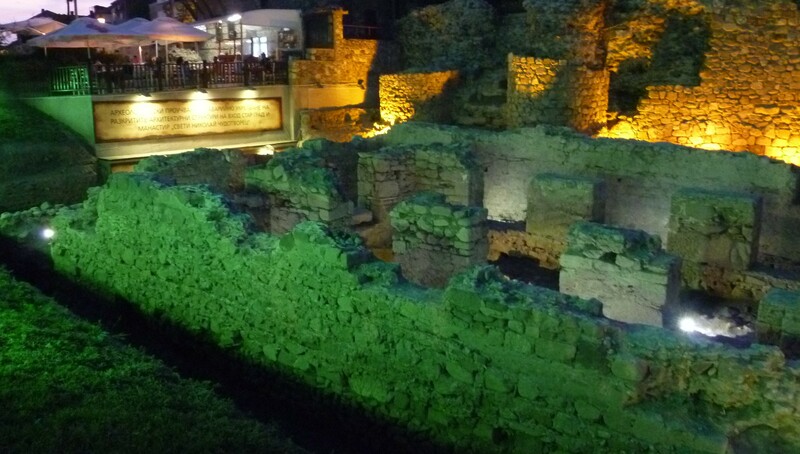 The discovery was made in the area of the fortress gate and southern wall of the old town. It is a long-awaited sequel to the discovery of part of the necropolis in 1972 by Mihail Lazarov. The newly-discovered four gravesites were found two metres below the foundations of the church found by archaeologists at the start of this year’s archaeological season near the southern entrance to the stone wall in Sozopol. There is evidence that the core of the ancient necropolis may be dated to the second half of the sixth century BCE, according to a report on September 3 2012 by public broadcaster Bulgarian National Television. At the gravesites of children, amphorae were found with pottery and balm as burial gifts. According to the report, it was believed that the ceramics had been imported from Corinth and had been made about 540 BCE. Dimitar Nedev, director of the Historical Museum in Sozopol, said that the ceramics had been very popular items, widely found on the territory of ancient Greece, but were a rare find in this area. the ceramics had been imported from Corinth and had been made about 540 BCE <-- wow it is amazing and great news to hear. Very interesting discover.